La Maison Jaune, The Yellow House. 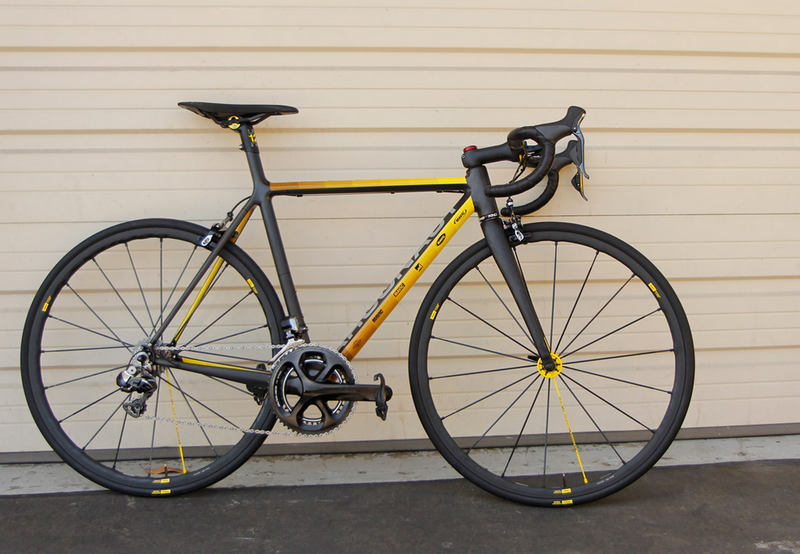 There are some brands we hold dear at Bicycle Blue Book, and not just because they can ramp up the value of a used bike on our marketplace significantly! MAVIC is one of those brands we love because of the performance, history and incredible race memories it brings back. A big part of this is how innovate and creative the French brand has been. And it is being innovative again with La Maison Jaune, the yellow house. In MAVIC’s 125th year it continues to prove it is all about new ideas, and not just new product ideas. In Newbury Park, Southern California, surrounded by some of the best riding in the world, is MAVIC’s newest idea – La Maison Jaune. It’s not a bike shop or research facility or production space, it’s a place where Mavic can share their products, philosophy and culture with its employees, dealers, the media and even a few lucky customers. Inside is just about every product MAVIC currently has on the market, from soft goods to wheels and tires, as well as a few historic pieces, like Greg Lemond’s 1989 Tour winning, MAVIC equipped, TVT. The front room of the ‘house’ is a beautifully finished space displaying all of these products in a welcoming atmosphere dripping in MAVIC culture. The rear of the ‘house’ is MAVIC’s new west coast service course, home to half of its North American neutral service team. Look for MAVIC focused events to occur at La Maison Jaune some time in the future – rides, product education and a general sharing of all things MAVIC. If you aren’t lucky enough to snare an invite to a future event at La Maison Jaune try stopping by on a ride. While they don’t have official hours, they are always happy to open the door and talk MAVIC. La Maison Jaune officially opened for business on July, 10th and in its honor – as well as to honor the company’s incredible 125 year history – MAVIC unveiled some incredible bikes. Lynskey, Argonaut, Ritte, Seven and Mosaic all built custom bikes inspired by MAVIC and the anniversary. Each one is unique and reflects the builder’s own passion for MAVIC. Each bike was fitted with MAVIC’s newest wheel, the 125th Anniversary Ksyrium.